Simon Dunderable trained Sunny, gave a great performance in the Stayer Stakes B event over the gruelling 2000m in Race 8 on Saturday. 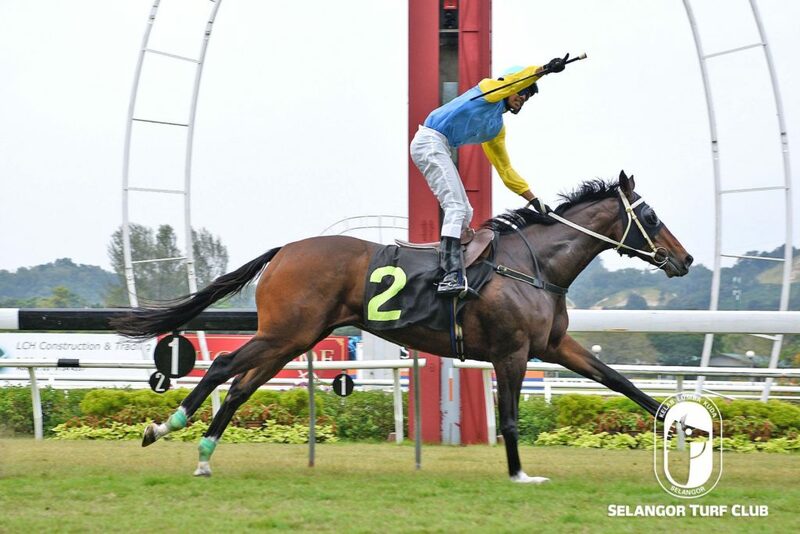 The veteran nine-year-old by Refuse To Bend with Jockey M Ganesh on board was in midfield most of the journey and made the challenge in the final 300m from home to beat Tarzan and drew away to win in a fine fashion. Sunny is a proven stayer and should be followed closely. Ready To Rock is on the upgrade and should be racing in better company, judging from the impressive victory in a Class 4 event over 1400m in Race 5. Richard Lines’s trained four-year-old by Ready’s Image with jockey Jose De Souza on board was tucked in fourth spot most of the way, and breeze past the leaders at the final 300m to draw away to win in a comfortable manner. Ready To Rock has more wins in store and should be racing in better class. Lawson Moy trained What broke the ice in fine fashion in the open maiden event over 1400m in Race 6. The three-year-old by Ocean Park snatched the lead at the top of the straight and staved off a determined challenge from Second Chance and Pendragon Princess at the closing stages of the race to win. Trainers Lawson Moy and Johnny Lim shared the honours with two wins each in the card of 11 races. Moy saddled Brilliant Star and What in Race 1 and Race 6 respectively. Johnny Lim was successful in Lim’s Battle and Noble Liasion in Race 3 and Race 9. Trainers W Lim (Gallopy Swift, Race 2), SY Lim (Voyager, Race 4), Richard Lines (Ready To Rock, Race 5), Tan Soo Beng (Tauboss, Race 7), Simon Dunderdale (Sunny, Race 8), Charles Leck (Auzone, Race 10) and PS Kumaran (Monte Carlo, Race 11), all saddled a win each. Jockey M Ganesh rode a splendid double in Race 7 (Tauboss) and Race 8 (Sunny). While jockeys, Aucharuz (Brilliant Star), Ak Lim (Gallopy Swift), HS Gill (Lim’s Battle), SU Lim (Voyager), Jose De Souza (Ready To Rock), S.Uzair (What), A Zaimuddin (Noble Liaison), S Ruzaini (Auzone) and KC Wong (Monte Carlo) rode a winner each.